The universally recognized music icon is gracing the Menora Mivtachim stage with his presence this November. 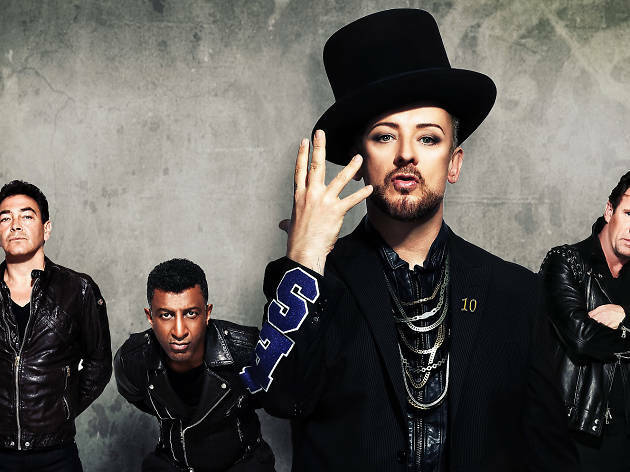 British singer-songwriter Boy George rose to the top with 80's super group Culture Club and has preserved his name in the ever-changing, multi-faceted music industry for 30 years. As a solo artist and band member, he has sold over 100 million singles, 50 million albums, and still manages to be one of the world's most highly demanded international DJ's–a perfect fit for Tel Aviv's booming scene. On November 7, Boy George is bringing his unquestionable talent to town with a reunion as historic as the Holy Land. The show will feature the original Culture Club lineup and a promise to pull out all the stops with a cast of 11 musicians, taking the crowd on a nostalgic journey to the heydays of the 80's.